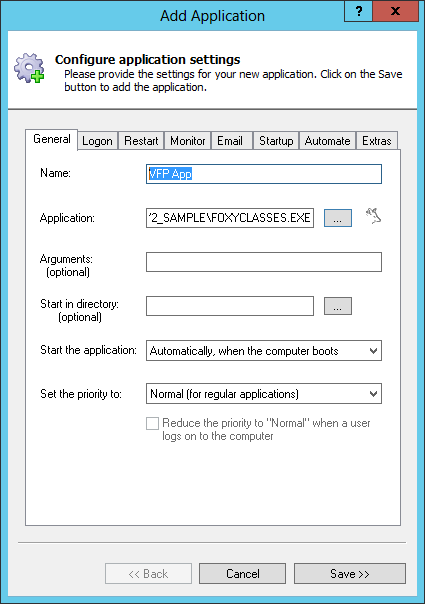 Launch your legacy VFP program as soon as your PC boots and keep it running 24x7 in the background. No need to log on! Visual FoxPro (VFP) is database-centric programming language created by Microsoft. 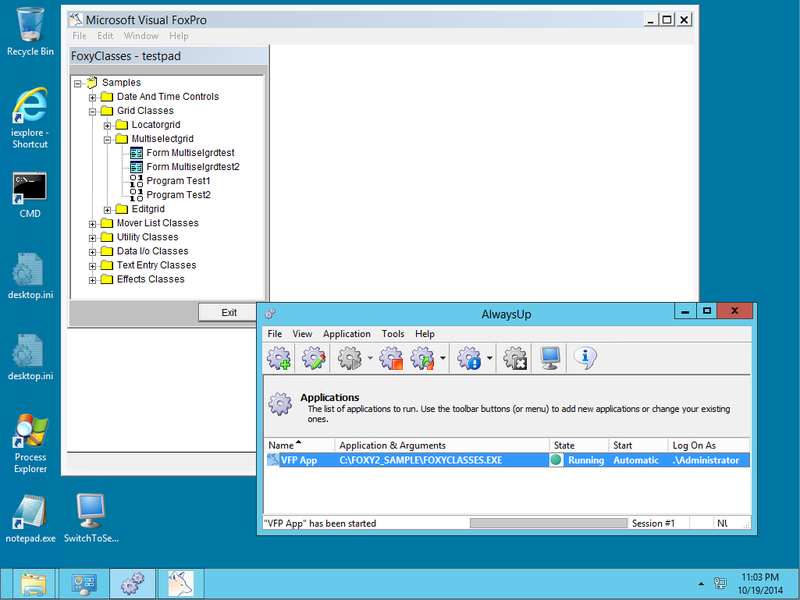 Even though VFP was was discontinued in 2007, applications created with VFP continue to operate well on modern versions of Windows. Of course your application will be different! In the Name field, enter the name that you will call the application in AlwaysUp. We went with VFP App but feel free to specify something more meaningful to your situation. Click over to the Logon tab and enter the user name and password of the account where you plan to run your application. This is not necessarily required for all applications (some will run fine in the default LocalSystem account) but specifying an account here is the safer option. We're done configuring the VFP program, so click the Save >> button to record your settings. 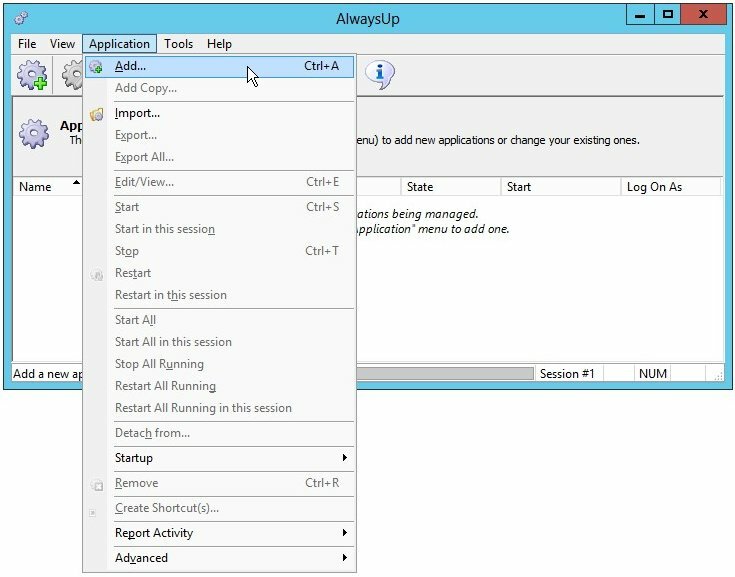 In a couple of seconds, an application called VFP App (or whatever you called yours) will show up in the AlwaysUp window. It is not yet running though. That's it! Next time your computer boots, your legacy Visual FoxPro application will start up immediately, before anyone logs on. We encourage you to edit the Visual FoxPro entry in AlwaysUp and check out the many other settings that may be appropriate for your environment. For example, you can hide your application's windows by checking the When a user logs on... box on the Login tab, boost your application's priority on the General tab, and much more. 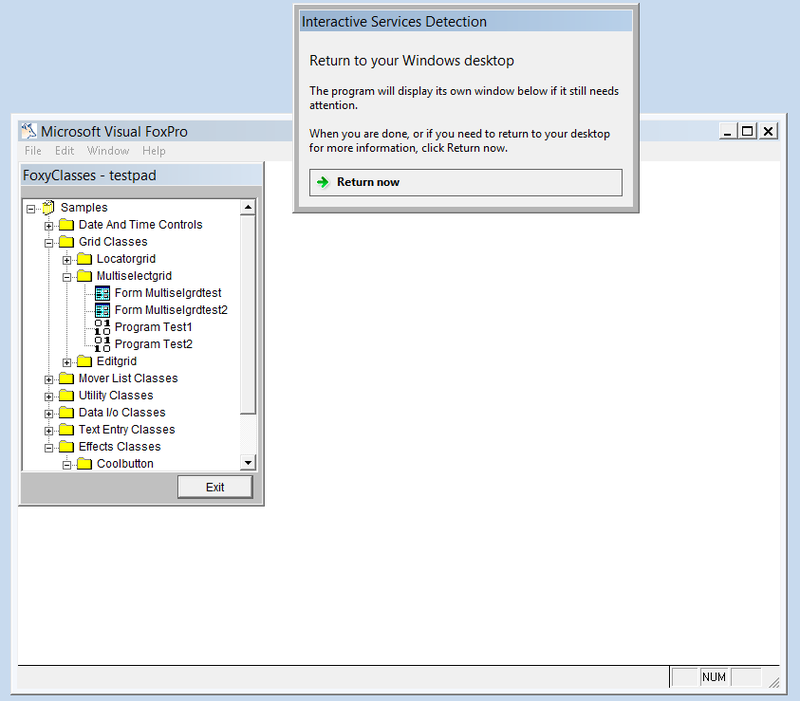 Visual FoxPro not working properly as a Windows Service?